Sacroiliac treatment can be conservative or invasive, but can usually relieve SI joint pain. There are many therapeutic interventions available, including symptomatic and curative modalities of care. Patients are always advised to pursue methods of treatment that will address and resolve the underlying cause of pain whenever possible. However, when this is not possible, it is best to find treatments that will effectively reduce symptoms with the minimum negative impact on general health and wellness. Choosing the best path to treatment can be confusing, so we have not only assembled this list of options, but also thoroughly investigate each to help patients select the ideal therapy for their needs. This resource section provides a comprehensive analysis of the most often used treatments for sacroiliac joint pain syndromes. For each therapy, we will explore its risks, rewards and facts to help patients make informed decisions about treatment. Very few sacroiliac diagnoses present themselves as surgical emergencies. Therefore, patients usually have a choice whether they want to pursue conservative treatments as detailed in this section, or invasive interventions which are described in our resource covering sacroiliac joint surgery. The majority of doctors will recommend conservative care for most patients and will only begin to discuss the possibility of surgery in cases of severe symptomology that does not respond to noninvasive therapy. When it comes to conservative treatment, there are curative paths, such as physical therapy for SIJ dysfunction, and there are symptom-targeting practices, such as acupuncture. Curative measures will seek to resolve the true source of pain, eliminating the need of ongoing therapy. Meanwhile, symptomatic care will do nothing to cure the cause, but will minimize the effects of symptoms on life and functionality. Both types of treatment have their proper applications, but curative care is always considered superior when it can be delivered successfully and safely. 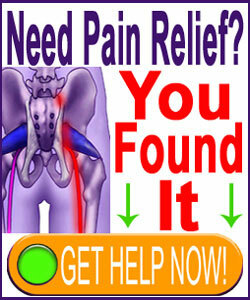 Which are the best drugs for sacroiliac pain? Are drugs even an ideal treatment or do their risks outweigh their potential benefits? Massage for sacroiliac pain can be highly effective for some types of symptoms, especially those enacted by joint hypomobility. Rolfing for sacroiliac symptoms is a form of deep bodywork that is preferred by some patients. Myofascial release for sacroiliac pain is an interesting choice, since it assumes pain to be created in superficial levels of tissue, instead of in the joint itself. Heat or ice for sacroiliac can help mitigate pain at home, without any risk or side effects. Sacroiliac cryotherapy is a professionally-applied cold-therapy option that can provide deeper and more lasting effects. Ultrasound for sacroiliac is one of the more common uses of professional diathermy. 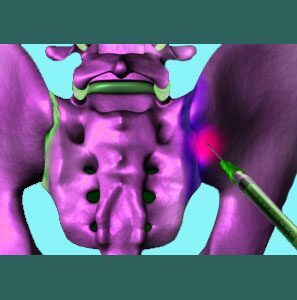 Sacroiliac injections can be utilized for diagnostic purposes, as well as for direct treatment of severe, chronic symptoms. Sacroiliac nerve blocks are popular moderate therapeutic interventions that can decrease pain for months. Physical therapy for sacroiliac pain is one of the most popular treatment paths and certainly one of the most effectual for soft-tissue concerns in the joint, such as most cases of SIJ dysfunction. Chiropractic for sacroiliac issues can provide general and specific manipulations of the joint to improve mobility and reduce some types of pain. Some chiropractors specialize in SI joint pathologies. Sacroiliac acupuncture is a safe, all-natural approach to pain management that will not cure, but will certainly help reduce the degree of symptomology. Sacroiliac acupressure can provide similar benefits to acupuncture, but spares the patient needling. Sacroiliac prolotherapy is an alternative choice in treatment that is most often utilized for ligament-induced hypermobility conditions. TENS for sacroiliac pain uses electric current to disrupt the transmission of pain signals inside the joint. Alexander Technique for sacroiliac pain can help enact postural changes that might be beneficial for some patients and some diagnoses. Symptomatic sacroiliac treatment includes practices which reduce pain, but do not address the underlying reason why the pain exists. Our proprietary and proven Cure Back Pain Forever Program is an excellent option for patients with chronic pain. It works on a 3 tier system to prevent, manage and cure pain due to a variety of causes. Choosing the right sacroiliac treatment can be a complicated and confusing process. Most patients tend to end up using whatever treatment is recommended by their preferred caregiver, be it chiropractic, drugs or surgery. Statistically, few patients spend the time or effort researching their many options, which is a shame, since all treatments are not created equal in risks, benefits, or effectiveness. We tend to recommend various forms of physical and exercise therapy for soft-tissue-related sacroiliac disorders, like SIJ dysfunction. For structural joint issues, like sacroiliitis, recommendations are far less universal, since each condition requires specific therapy based on causative process. In all cases, we do recommend seeking more than one diagnostic and treatment opinion before beginning any type of care. This will definitely reduce the chances of suffering misdiagnosis and disappointing therapeutic outcomes.